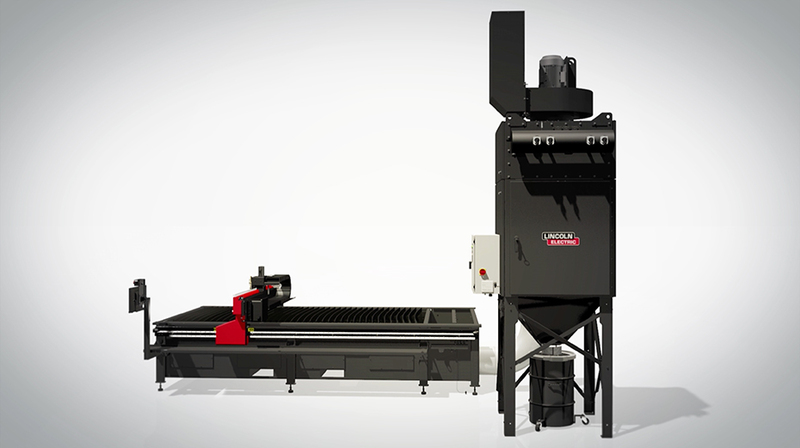 This project was created for Lincoln Electric showing their Torchmate 5100, Prism 4, and Prism 8 products. 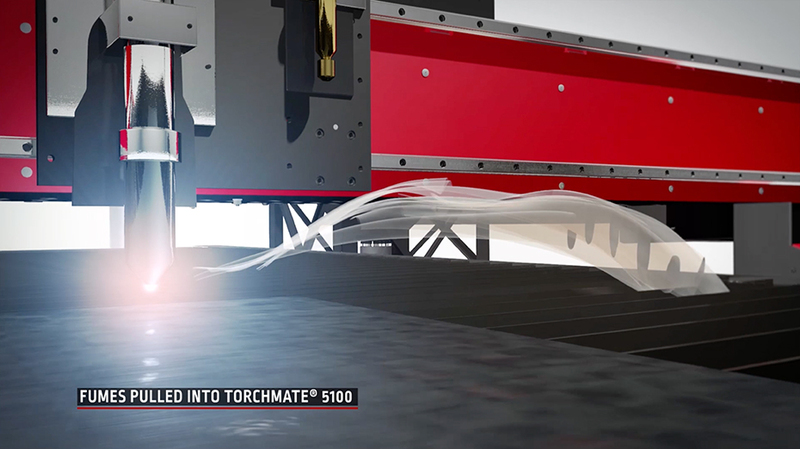 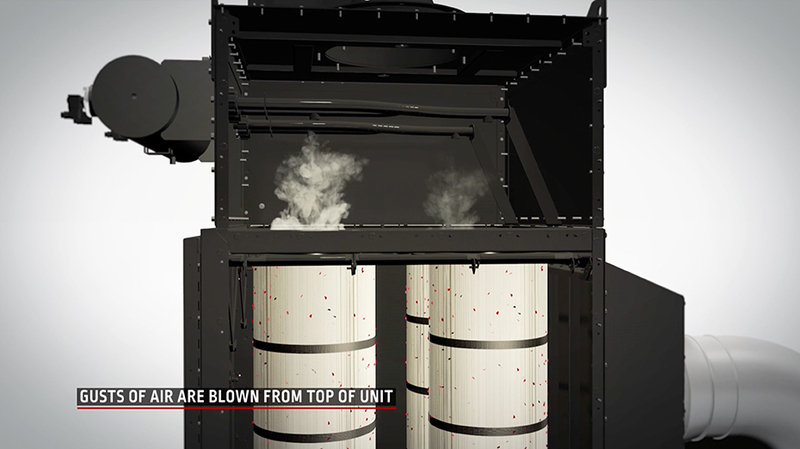 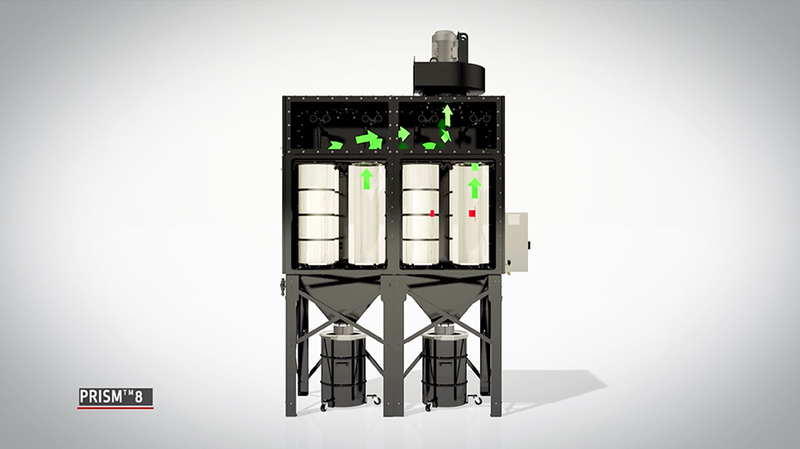 The animation explains how contaminated airflow is pulled through the Torchmate 5100 welding table, into the Prism 4, a low volume extraction system, then cleaned by the unit’s filters. 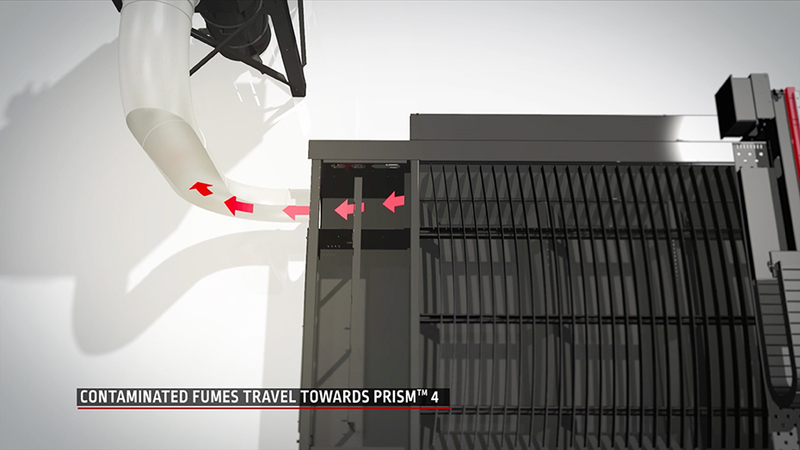 The Prism also performs a self-cleaning operation by blowing guts of air from the top of the unit to clean particulate from the filters. 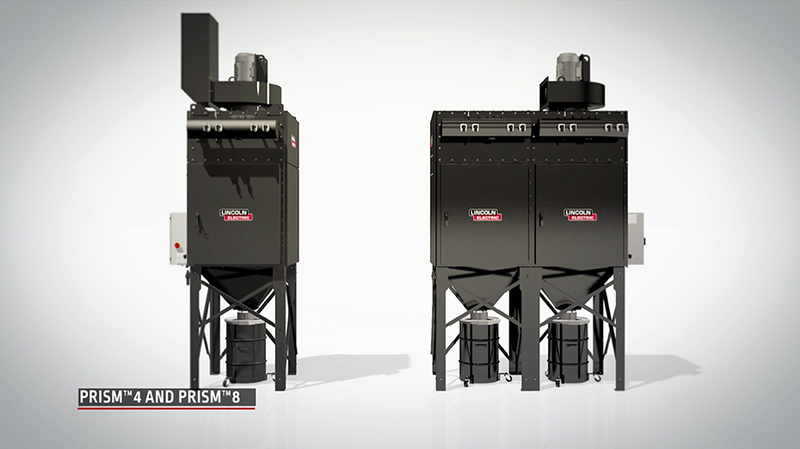 The Prism fume extraction system is a reduced-footprint fan/filtration unit combination designed with robotic welding and plasma cutting systems in mind. 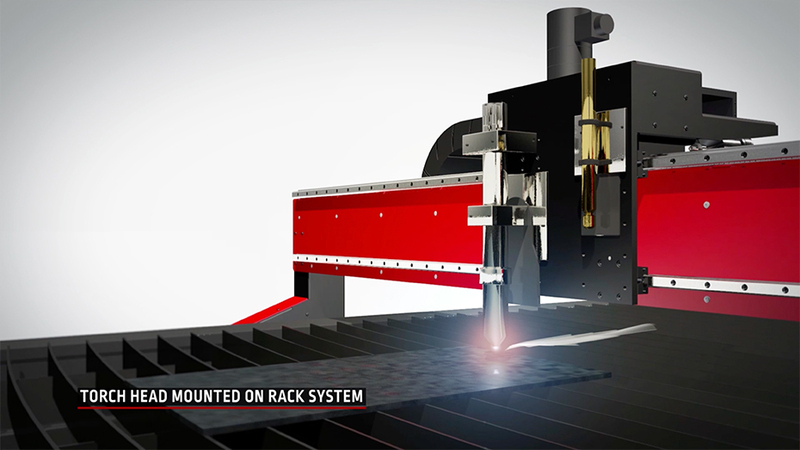 The 4-bank vertically positioned filter configuration can provide extraction capacity for any automated system equipped with a hood or can easily connect to plasma cutting tables. 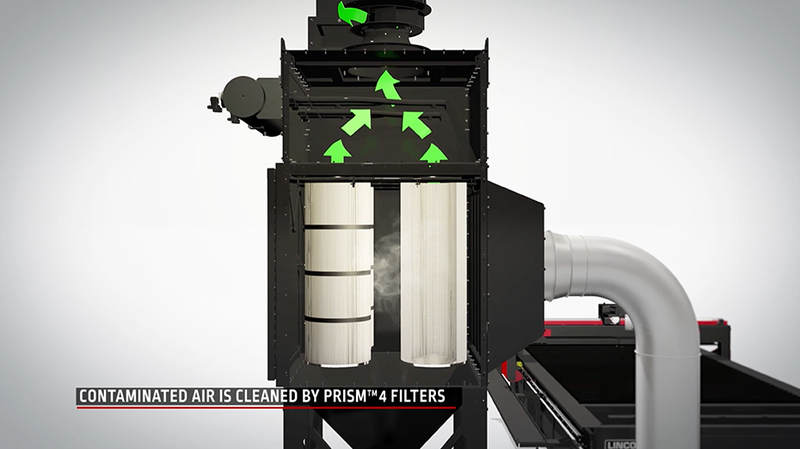 The vertical positioning of the filters are proven to be more efficient and easier to clean than horizontally-aligned filters.